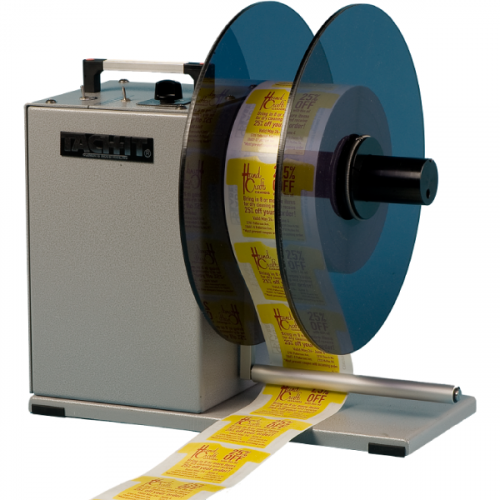 Perfect for fan-folded, thermal transfer printers, and computer generated labels. No special operator training or tools required. 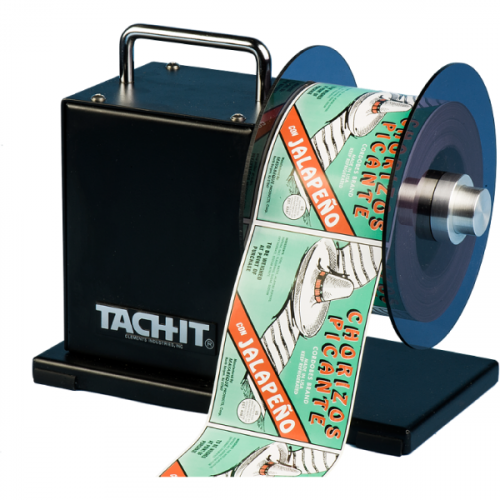 The SH-455 has a dancer arm and slip clutch to avoid label web breakage. 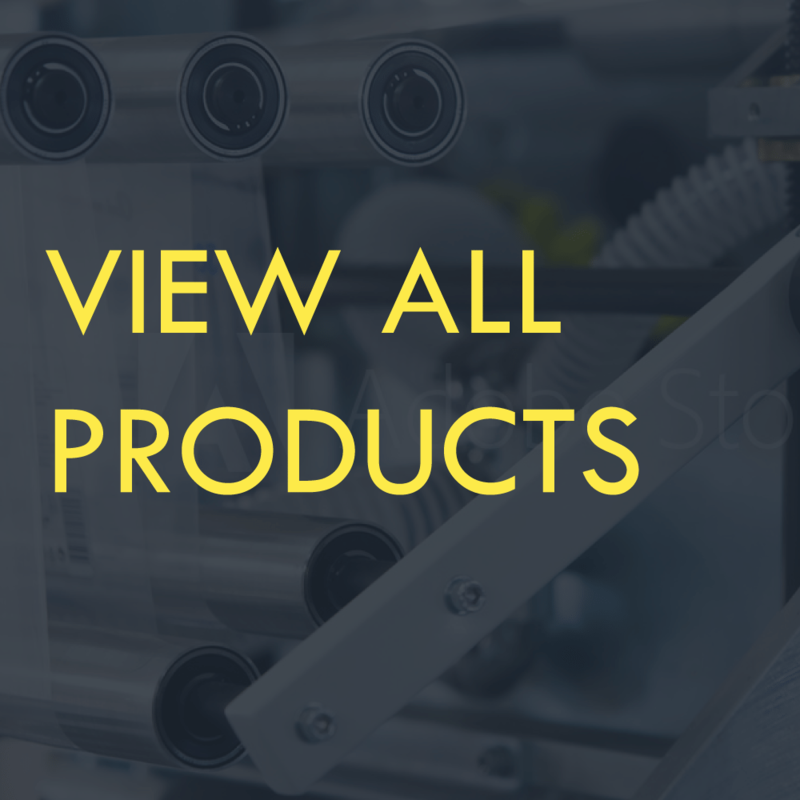 For pharmaceuticals, medical packaging, retail, manufacturing, industry, food service, or anywhere a thermal transfer printer is used. Quick release roll guides and no tools required for fast label changeovers. The Tach-It Model SH-455 Economical Label Re-Winder uses a slip clutch and dancer arm to ensure consistent winding of thermal transfer, fan fold, and computer generated labels without concerns about breaking of the liner. Easy-to-use and requiring no tools or special operator training, the SH-455 has a small table top design, heavy duty motor and construction, and can reach speeds up to 120 rpm.